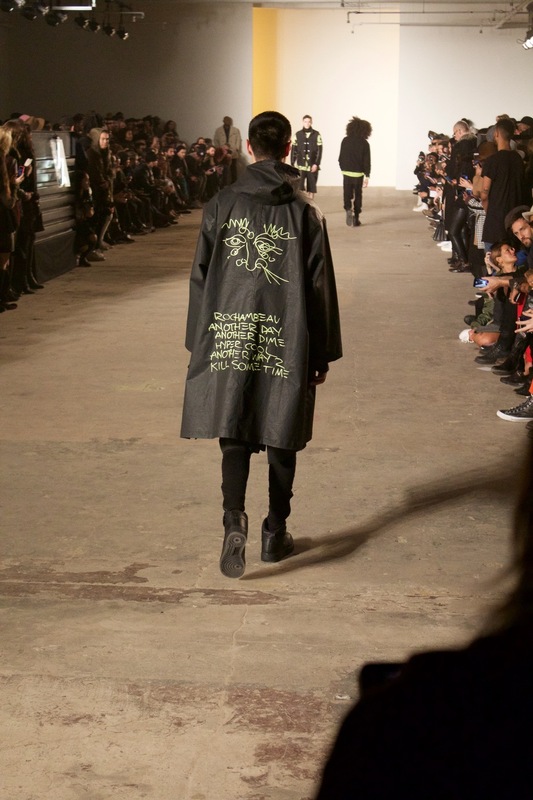 Rochambeau took it straight back to the 90's with their NYFW Men's presentation. The music from the movie "Juice" was a very prominent part of their entire show. The 90's vibe was not only prominent with the just the music, but also the clothing. It was one of the best shows I attended all week because of how the crowd reacted to the music and the clothing. Rakim's "Know the Ledge" and other 90's hip hop blared as the models walked out. They made it a very entertaining show to attend. 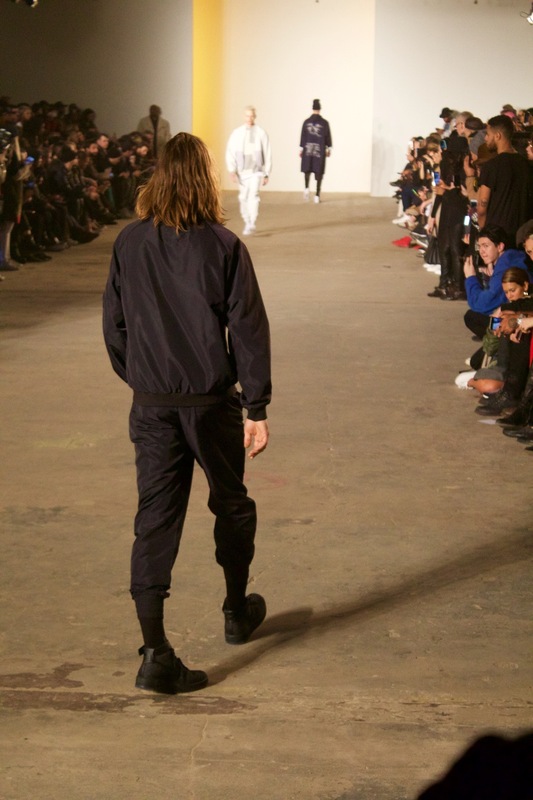 Rochambeau made great use of color is their FW 16' collection. Orange is a very popular color among designers, and you see flashes of orange in a variety of shades in a variety of garments. The waxed parka jackets, the puffy jackets, and the bomber jackets all stuck out to me because they were done so differently than most. The use of color, material, and prints were executed perfectly. This collection represented the boroughs of New York and the street culture of the youth. The Nikes paired with puffy jackets and turtlenecks is a look straight out of the movie "Juice," which represents the struggle of the urban youth and their quest to gain notoriety. I loved the theme of the show, the music they used, and of course the outerwear was great.